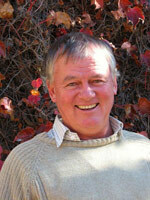 Emeritus A/Prof John Hoffmann leads the biocontrol research programme within the PCU. Participants in this programme (Fiona Impson and Catharina Kleinjan) joined the PCU in 2014 upon A/Prof Hoffmann’s retirement from full-time employment at the university. This programme is funded through the South African Department of Environmental Affairs, National Resource Management Programmes and is focused on the biological control of invasive tree species, particularly Australian acacias. Follow the link for more information on his research within the Department of Biological Sciences at UCT.